Birth*: Carrie Forkner was born in 1818 at Estill Co., KY.
She was the daughter of Henry Forkner and Frances Howell. [S1974] 1860 Jefferson Co., Ks. Census. [S1977] 1880 Arapahoe Co., Co. Census. [S2004] Letter, unknown author to unknown recipient, 1 Jan 2013. [S1033] Unknown volume, California Death Index 1940-1997, unknown repository. [S1994] Unknown volume, Idaho Marriages 1842 - 1996, unknown repository. [S1996] 1910 Nez Perce Co., Idaho Census. [S1991] 1920 Ada Co., ID Census. [S1997] 1930 Ada Co., Idaho Census. He was the son of Micajah C. Forkner and Margaret Ann Jordan. Death*: Charles Edward Forkner died on 7 April 1945 at age 85 . [S1847] 1870 Henry Co., Ind. Census. [S1022] Unknown author, Missouri Marriage Records 1805 - 2002. [S1988] 1900 Unita Co., WY Census. [S1665] Unknown subject, Draft Registrations WWII. [S1984] Unknown volume, Oregon Death Index 1903 - 1998, unknown repository. Birth*: Charles Virgle Forkner was born on 18 August 1896 at MT. He was the son of Joseph M. Forkner and Sarah Ann Cossey. Death*: Charles Virgle Forkner died on 21 December 1921 at Danville, Vermilion Co., IL, at age 25 . [S1998] Unknown volume, Idaho Marriages 1878-1978, 1903-1942, unknown repository. She was the daughter of Samuel Forkner and Mary Elizabeth McMullen. Marriage*: Clara Forkner married Ernestus Putman Searle on 14 May 1885. Death*: Clarence Earl Forkner died on 21 September 2001 at Sun City, CA. CLARENCE E. FORKNER, 87, died Friday at Menifee Valley Medical Center in Sun City. Born in Boise, Idaho, Mr. Forkner lived in Homeland 12 years. He was an executive with the Rapid Transit District in Los Angeles for nearly 30 years. [S1987] Unknown volume, California County Marriages 1850 - 1952, unknown repository. [S2003] Unknown volume, California Birth Index, 1905 - 1995, unknown repository. 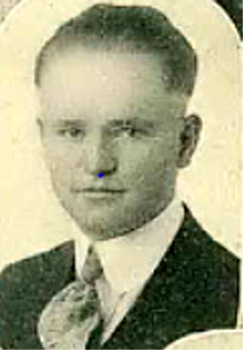 Marriage*: Dr. Claude Ellis Forkner married Marion Sturgis Dubois circa 1928. [S1575] 1850 Madison Co., Ind. Census. [S1983] 1900 Gilliam Co., Or. Census. [S1650] Unknown volume, Kentucky Births & Christenings 1839-1960, unknown repository. [S2232] The Wilmington Morning Star, 28 Jul 1885. [S1314] Unknown volume, Surry Co., N.C. Death Certificate, unknown repository. [S1972] 1850 Buchanan Co., Mo. Census. Birth*: Daniel Peter Forkner Rev. was born on 15 June 1824 at Surry Co., NC. He was the son of Thomas Forkner and Martha Patsy Lawrence. [S34] Mona Forkner Paulas, The Forkner Clan Vol III, page 120. [S257] Brent H. Holcomb, Marriages of Surry County, N.C. 1779-1868, pg 67. [S1565] 1870 Moultrie Co., IL Census, pg 64. [S1558] 1860 Monroe Co., Tenn. Census. [S1565] 1870 Moultrie Co., IL Census. [S1564] 1880 Monroe Co., Tenn. Census. Birth*: Daughter Forkner was born in 1802. She was the daughter of Thomas Forkner and Martha Patsy Lawrence. Birth*: Daughter Forkner was born in 1805. Birth*: Daughter Forkner was born circa 1814 at Surry Co., NC. [S1990] 1910 Ada Co., Id. Census. [S1845] Surry Co., N.C. Will unknown file number, Vol 6, pg 385. [S2248] The Yadkin Valley News, 1 Mar 1894. [S1589] 1870 McMinn Co., TN Census. [S236] Unknown volume, Forsyth Co., N.C. Death Certificate, www.Ancestry.com.